In addition to the Rafael Manzano Prize, INTBAU, thanks to the support of the Richard H. Driehaus Charitable Lead Trust, has developed the following projects, aimed at promoting the contemporary practice of traditional building, architecture and urbanism. 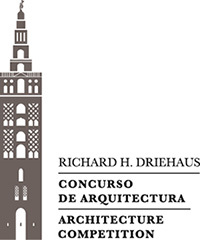 The Richard H. Driehaus Architecture Competition is an international competition created to promoted the architecture and urbanism that preserve and revive the use of local architectural traditions. It is annually organized by INTBAU (International Network for Traditional Building, Architecture and Urbanism) thanks to the support of the Richard H. Driehaus Charitable Lead Trust, through a contribution to the Chicago Community Trust for the Richard H. Driehaus Charitable Fund, and with the collaboration of the Department of Building and Architecture of the Ministry of Public Works and Infrastructure, the Department of Beaux Arts of the Ministry of Culture and Sports, the Rafael Manzano Prize and the Council of Architecture Institutes of Spain. 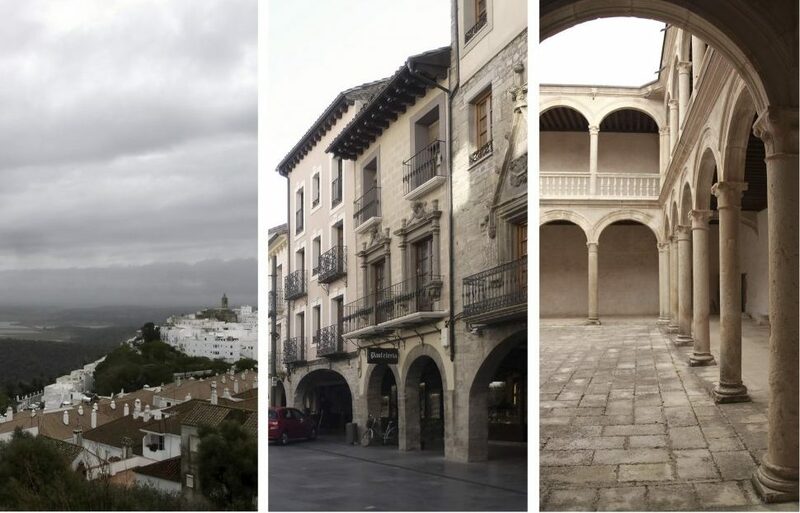 In the first phase, municipalities throughout Spain are invited to submit possible topics and sites for the competition. An international jury consisting of representatives from the various institutions participating in this initiative review the proposals that were received and select the three submissions that best meet the proposed objectives and criteria and which are considered to be the most viable for subsequent application and implementation. In the second stage of the competition, an international stage in this case, architects from anywhere in the world are encouraged to submit architectural and urban design proposals for any of the three sites that had been selected. A second international jury, formed once again with representatives from the various participating institutions, including also representatives of the authorities of the three municipalities to which the sites belong, evaluate the proposals and select the ones they felt best meet competition’s criteria. The Richard H. Driehaus Building Arts Awards are awarded in Spain to the main masters in the diverse traditional building crafts, those who have stood out in preserving and keeping them alive. They are annually organized by INTBAU (International Network for Traditional Building, Architecture and Urbanism) thanks to the support of the Richard H. Driehaus Charitable Lead Trust, through a contribution to the Chicago Community Trust for the Richard H. Driehaus Charitable Fund, and with the collaboration of the Department of Building and Architecture of the Ministry of Public Works and Infrastructure, the Department of Beaux Arts of the Ministry of Culture and Sports, the Rafael Manzano Prize and the Council of Architecture Institutes of Spain. Traditional building works have been grouped for these awards into four categories, each one of them awarded an annual prize of €10,000 and a commemorative plaque. 1. Masonry and stone masonry works: Arches and vaults, vaulted stairs, stone carving and others. 2. Wood works: roofs and structures of wood, furniture, muqarnas, woodturning, wood carving, carpentry doors and windows and others. 3. Finishes and other traditional building works: tiles, mosaics, plasterwork, stucco, sgraffito, decorative pavements and others. 4. Metal and Glass works: smithery, window railings, locksmithery, stained glass and others. In order to increase the number of proficient building arts practitioners the jury will select one of the four awardees to train an apprentice for one year, granting this master support of up to an additional €10,000 if the agreed results are achieved. In selecting this awardee the jury will consider the greatest need among the categories and the most likely potential for long-term success. At the same time, the trainee, who will be selected among all possible applicants, will also receive economic support during the trainee’s training. This support will amount to a total of up to € 8,000, also if the agreed results are achieved. The National Network of Traditional Building Masters is a national directory of best practises in the fields of traditional construction and restoration. It intends to gather all individuals and companies developing an outstanding work in the various traditional building crafts, looking for those who excel in each region at preserving and maintaining them. This project aims at providing these masters with greater visibility throughout Spain. Implementing the project has made it possible bring many artisans together, in addition to also helping to foster recognition and respect for these trades amongst the various agents who are responsible for preserving Spain’s heritage, and who can now use and recommend this tool for conducting their own activities. The project is being implemented thanks to the generous support of the Richard H. Driehaus Charitable Lead Trust, with assistance from the Spanish Cultural Heritage Institute (IPCE) of the Ministry of Education, Culture and Sport, the Rafael Manzano Prize, and the International Network of Traditional Building, Architecture and Urbanism (INTBAU).